Faculty Meeting News and Notes: March 21, 2019 | The Gettysburgian. The faculty did just that, approving two motions that had been pending from previous meetings. The most controversial item on the agenda was a motion from the Academic Program and Policy Committee to make online summer courses a permanent offering after three consecutive summers of pilot programs. Each department and program will decide what, if anything, to offer. Discussion of the motion came on the heels of a presentation from Provost Chris Zappe that reminded faculty of a “looming demographic storm in the next decade” that will decrease by up to 15 percent the number of students attending college. He urged faculty to “think about how we respond to these challenges” pedagogically and technologically and noted that work towards adding a business major, a data science minor, and revamping the college’s core curriculum are each part of the puzzle. From there, Riggs opened the floor, and several faculty members including Associate Professor of Psychology Chris Barlett and Assistant Professor of Music Theory William O’Hara, both of whom taught online courses in the pilot, as well as Associate Professor and Chair of Mathematics Ben Kennedy and Assistant Professor of Art & Art History Tina Gebhart, who did not, expressed their support for the motion. Other faculty members, however, raised concerns. Professor of Economics and Chair of Public Policy Char Weise expressed disappointment that what he called “basic questions” about how many students would enroll and what the revenue effect for the college would be had gone unanswered. Associate Professor of Africana Studies and Chair of History Scott Hancock said, “I like new stuff,” but noted that he was “bothered by the intellectual process” at hand in the presentation of the issue, noting a statement at the March 7 faculty meeting from Vice Provost Jack Ryan that, if the faculty voted down the motion, that would end consideration of online courses. Ryan responded that he was referring to this iteration of the proposal and that while, in the future, a new proposal could come forth, those who had worked to develop this one would not continue to expend effort on it if the faculty did not express their support for the proposed curricular revision. As it turned out, it would not need to. The faculty voted 83-43 with five abstentions to approve the motion, and, as such, online courses will begin to be offered as soon as this summer. Earlier in March, Registrar Brian Reese said that he was planning for student enrollment to begin Wednesday, April 24, one week after rising sophomores pre-register for fall semester courses. Meier said after the vote that he was happy with the outcome. Not all faculty were as supportive. One junior faculty member who asked not to be named due to an upcoming tenure case objected both to the concept of online courses and the framing of them as “hybrid” instruction, which, at a previous faculty meeting, Barlett said was because they included synchronous, interactive instruction rather than simply pre-packaged modules. The other action item on the agenda was a motion to move all end-of-semester student course evaluations to the Campus Mobile system, ending the use of paper or CNAV for the evaluations. Associate Professor and Chair of Computer Science Clif Presser presented the motion on behalf of the Chairpersons Council and noted that three years of successful pilots convinced his technology subcommittee that the benefits of moving evaluations to the online system — particularly the legibility of student feedback and the ability to better anonymize it as well as the elimination of the need for department administrative assistants to transcribe and compile evaluation data — outweighed any downsides. The information technology division would provide digital devices during the evaluation period to students who do not have them. The motion passed 114-11 with two abstentions. Riggs opened her report by noting that “not many faculty came” to her town hall meeting earlier in the day at which she gave a more detailed overview of the college’s financial standing and said she would not fully rehash that presentation at this meeting. Overall, though, the college anticipates tuition revenue to remain relatively flat. She described sustainable excellence as an ongoing process, and, as evidence, noted that she anticipates the college will outsource the college bookstore, which is currently run in-house, to a third party. “We cannot continue to provide affordable course materials and excellent service without losing money,” she said. “Our residence halls are becoming a liability in terms of attracting students,” Riggs said. The college would construct a new residence hall first and move first-year students there as other residence halls are renovated. The needed renovations, she said, particularly in West Quad first-year buildings, are more than what can be completed in the summer. After all buildings are renovated, the new building would allow the college to reduce residential density. 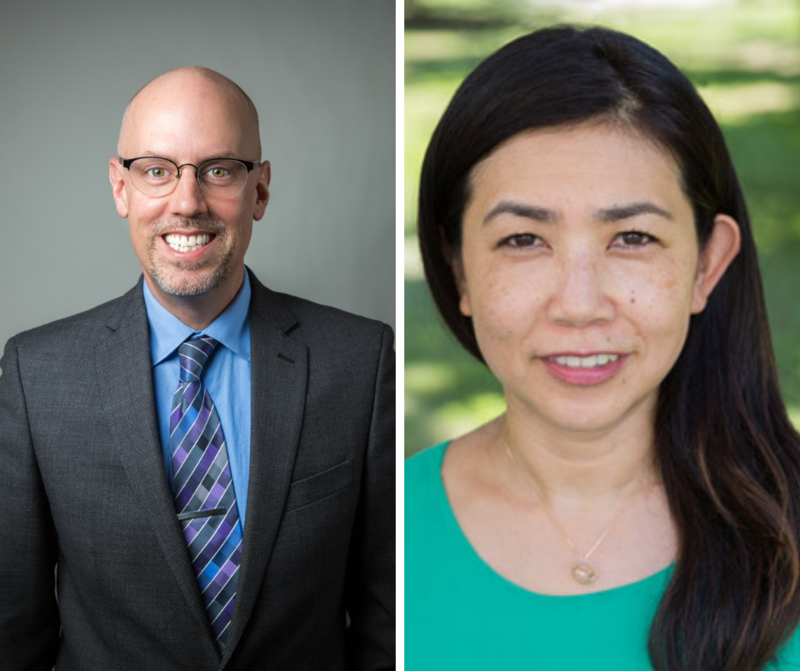 Director of International Student Services Brad Lancaster and Associate Professor of Education Kaoru Miyazawa presented findings from work they have undertaken over the past two years to better understand the experiences of both Asian-American students and Asian international students on campus. Miyazawa, who co-advises the Asian Student Alliance (ASA), explained that the research drew on data from the college’s landmark 2016 Campus Climate Study and learned more via a series of focus groups. Based on the climate study data, she and Lancaster decided to focus specifically on Asian-American students in follow-up focus groups as those students reported feeling the least valued by faculty in the classroom of any sub-group in the climate study. Since the research began, however, Miyazawa said that ASA and OME have enhanced their collaboration (one manifestation of which is that Executive Director of Multicultural Engagement Darrien Davenport is now the co-advisor to ASA). Additionally, Lancaster noted that the English department has hired a specialist in Asian-American literature, Assistant Professor and Mellon Faculty Fellow Kalyan Nadiminti. The faculty has three more scheduled meetings this academic year. The next is on Thursday, April 4.